Attract Attention, Project an Image, Increase Brand Retention. The MOST AFFORDABLE hang tag. Used mostly for care instructions. The MOST POPULAR Hang Tag. Professional quality, just like the big store. Our Sales Representatives will guide you every step of the way. Our work and our customers speak for themselves. Ordering Custom Hang Tags is Easy With Us By Your Side. 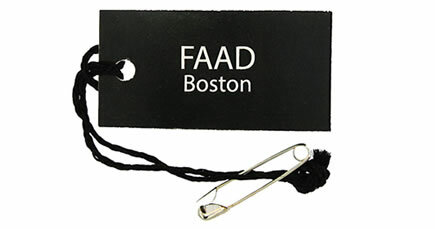 Marketing your product by using Hang Tags is common practice in retail. It is a great way to attract attention to your products and is an essential piece of the marketing puzzle when you are ready to promote your line. Not only are they a great compliment to any clothing line or handmade product, but they add a level of professionalism to your branding. We offer hang tags of all types and the first step for you to consider is what you want it to say and the impact you want it to achieve. Attract Attention. You want it to stand out and help you build brand recognition. Project an Image. You want it to express what your company stands for. They should be able to get the idea of your company at a glance. Associate with your Product. You need people to know, when they see your tag, that it directly reflects the product it is attached to. Size: Should I go big or small with my hangtag? What you want is your tag to be difficult to ignore. What you need to consider is the product it is going to be attached to; what size would best suit my line. The stronger the impact, the larger the tag. Colors: Should I keep it simple or go bold? 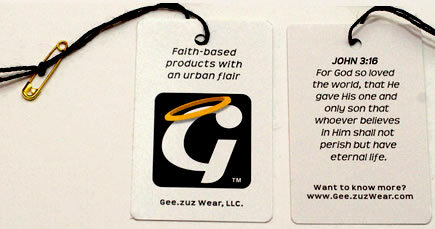 Hang tags have the flexibility of being as simple as 2 colors, to as elaborate as a photograph. Just keep in mind the best way it will project your company’s image. Content: What should I put on my hangtag? Many companies use the back of the tag to include details about the products and what makes them unique. Your logo and content information should also be prevalent on your hang tag. ARE HANG TAGS RIGHT FOR WHAT I SELL? Retail 101 shares the importance of marketing anything and everything with hang tags. They are not limited to just clothing and accessories. If you look at everything the chances are you will find a hang tag. They are common on; purses, toys, games, equipment, motorcycles, shoes, furniture, electronics and just about anything you can add to an online store or retail shelf. This is a win-win for reinforcing your company’s message and image. We have a team of representatives that are ready to help you with your hang tags. We offer hang tags that are printed on one side or both, in a variety of sizes, shapes, and thicknesses, as well as a variety of ways to adhere them to your products. The tags you order from us will be full customized to meet your criteria; and between our Economy Hang Tags and our Specialty Hang Tags, we can meet just about any budget. Please send us your logo or idea, and our expert graphic designers will create a beautiful design for you, and in only 3 weeks after you approve the art, you will have your hangtags right in your hands. Most of our customers are start-ups. They are mostly testing the markets of for the first time selling their products an a mid-scale. They are usually frustrated because of the high minimums most hangtag printind companies have. – And we get frustrated as well! We want them to succeed and we want their products to look professional to their customers! So we looked everywhere and finally found the way to supply You with professionally looking printed tags with very low minimums and at great prices. More value for your money We will design your hangtag FREE of Charge.